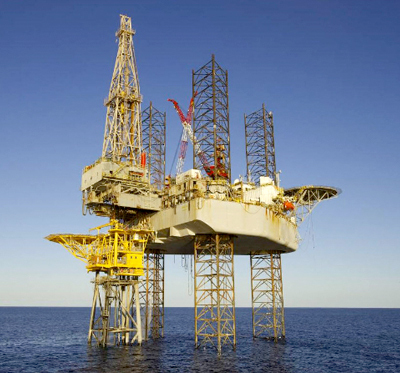 What is the difference between an oil rig and an oil platform? You often hear reference to oil rigs and platforms, and sometimes people will say, that wasn't a platform, it was a rig; or the opposite. So why do the terms cause so much confusion? As usual, it is because there is some crossover in the terminology. But if you understand the underlying mechanics, you will be much clearer. ~ A platform is a permanent structure fixed to the seabed. ~ A rig is moveable platform, which is moved into place by barges and then secured in each location temporarily. Firstly, let's look at platforms. They have three main parts; the jacket (the legs which are secured in the sea/ocean), the deck (a large flat surface area), and the modules (crew quarter blocks, drilling aparatus, storage containers etc. which are fixed to the deck). A basic fixed platform is fixed in a permanent position on the seabed with anchors (as above) and is not intended to move. It provides a long-term, stable facility from which a lot of oil can be produced because it can host so much equipment and crew. As a result, they tend to be build in locations with known long-term oil deposits. However, there are other types of platform which are similar. 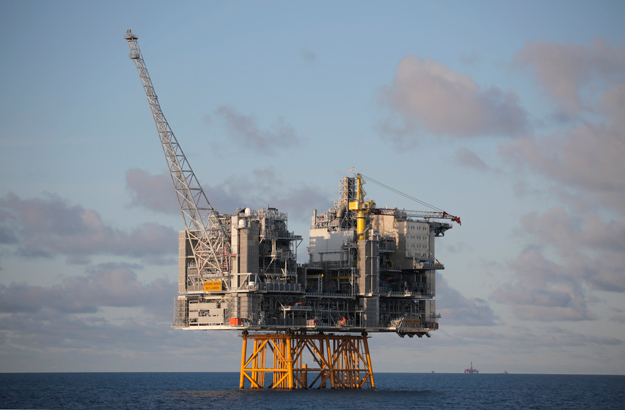 Compliant Towers (below) are like fixed platforms, but have more narrow, flexible jackets, meaning they move with the wind and waves. There are also tension-leg, subsea and SPAR varieties, as well as numerous other iterations and combinations of the above. Generally rig refers to a jackup rig. This is a moveable platform with very tall legs, which can be jacked up and down, meaning it can be towed into place and then lowers its legs into the seabed, creating a stable but temporary platform from which drilling or other work can take place. They tend to be used for smaller oil deposits and shallower water. Well, the thing is, as you'll see from the above, jackup rigs, are moveable platforms, so you might see an incident where, for example, their platform is damaged. This would lead to references to 'the platform'. In the same way, fixed drilling platforms will have equipment onboard called the drill rig (the gear which actually drills into the seabed). So the word rig could be used in reference to a platform sometimes too. Most maritime countries in the world apply a two year time bar to collision claims (by virtue of some form of ratification to the Brussels Collision Conventions 1910). In other words, where a vessel collides with another, and causes damage, the Claimant must issue proceedings before the local courts within two years. If they fail to do so, they lose their right of claim completely. The time limit is relatively short, compared to the six years general contract and tort time limit in place under English law, and that of many other states. A recent case has shed further light on the pitfalls for Claimants in missing the time limit. In the English High Court case: CDE S.A. v Sure Wind Marine Limited (SB SEAGUARD c/w ODYSSÉE), 2015, handed down in April 2015, the Claimants' catamaran yacht was at berth in Ramsgate, UK, when she was struck and damaged by an offshore tug, coming into the harbour to berth. The accident appeared to be entirely the fault of the offshore vessel, whose Master had lost control of the ship on entering the harbour. The Claimants indicated that they would make a claim of hundreds of thousands of Euros, for repairs, but failed to take action until after the two year time bar had elapsed. When they did present their claim, the defendant's P&I Club merely responded noting that their claim was now time barred under English Law. The Claimants appointed lawyers and took their claim all the way to the High Court, making an application for the course to exercise its discretion and extend the time bar. The High Court did not agree, and dismissed the application and the case. The judgment confirms some solid principles in respect of collision time bars. Although the court has a discretion to extend the time limit, it may only do so where there is a 'good reason'. The following arguments will not be considered a good reason; carelessness, the defendant has a poor defence, negotiations are continuing, the defendant was unaware of the time limit. Two important reminders arise from the case, in respect of collision claims. 1. Where you have a collision claim which may not be settled within the two year period you must ensure that you have either a) an express extension or waiver of the time limit, or b) a clear admission of full liability. In the latter case the court will consider that the parties had agreed to settle the claim, subject merely to a discussion on quantum. In other words, the time bar is likely to be considered to be waived. 2. If, for any reason, the time bar is mistakenly missed, once this fact is discovered, action must be taken immediately. Specifically, the claim should be filed at court, and an application for a discretionary extension of time should be made. 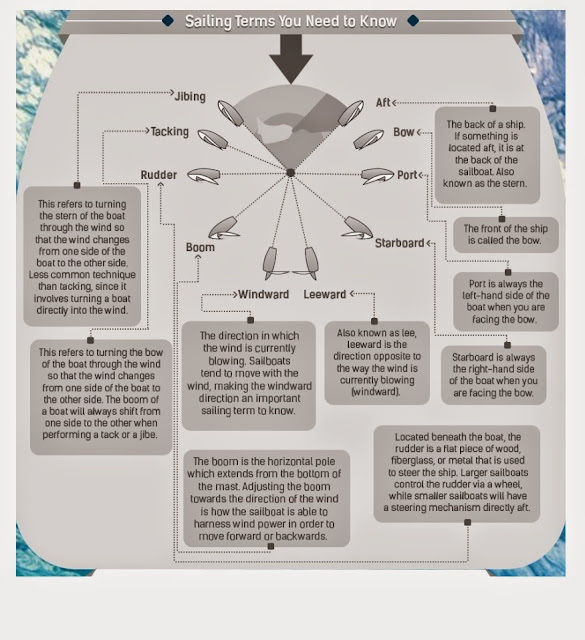 Learning to sail is one of the best ways to familiarise yourself with the basics of operating a vessel on water. 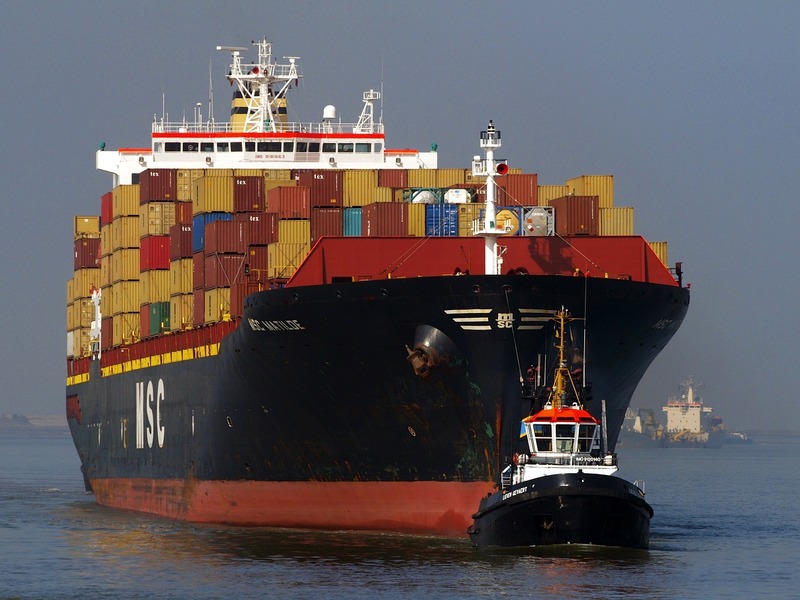 Many of the terms draw across to the shipping industry. It was therefore an opportunity too good to miss when the the East Fremantle Yacht Club of Perth, Australia offered to provide us with a beginner's guide to sailing, which can be downloaded via the link below. We often receive queries from readers at the Shipping Law Blog, and today we received one from a non-lawyer, who had been asked to confirm whether one of their contracts contained a 'liquidated damages clause'. To non-lawyers this language is typical of the legalese used by lawyers, to refer to what is really a very simple concept; in short it means, does the contract contain specific compensation amounts payable. 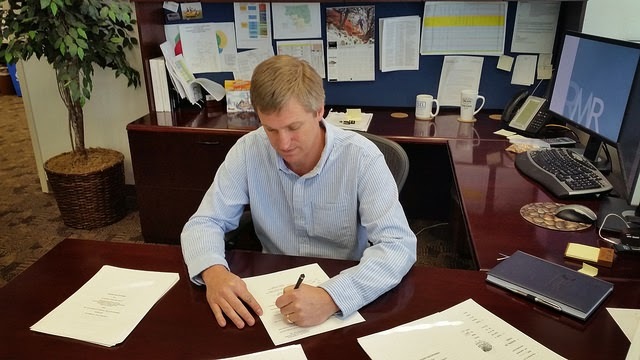 When two parties enter into a contract they agree to both do something for each other (consideration). Normally, in the maritime industry, one party pays and the other performs a service. If either party does not maintain their side of the deal they are considered to have breached the contract. Only very serious (fundamental / repudiatory) breaches will actually bring the contract to an end. So, in general, the legal position is that the party who has breached a part of the contract must pay the other compensation (damages) for that breach and the contract continues. Normally, when such a breach happens, the parties have to agree on how much compensation should be paid, or the case goes to arbitration or court to decide. Litigation costs an awful lot of money and in cases like a long-term hire agreement for a vessel (charterparty), where there will probably be many small breaches, it is better for the parties to agree beforehand how much compensation is due for different types of breach. These amounts are then inserted in the contract and becasue they are damaged which have been refined to specific (normally USD) amounts, they are known as liquidated damages. A common example would be demurrage. When you hire your ship, you might say that the ship will spend 1 day at the load port and 1 day at the discharge port. The charterer therefore agrees that they will load the cargo and discharge the cargo at their chosen ports within this timeframe. If the vessel stays in port longer (say because the Charterers are slow to get the cargo trucked to of from the ship), the vessel owner will incur additional charges, fees and delays. Therefore a clause in the charterparty may say that demurrage (i.e. delay by the charterer) will be charged at USD 500 per day, or pro rata per hour. When there is a delay of 3 hours, this becomes payable, without an argument as to whether it is reasonable. The amount cannot be any amount, but must broadly reflect the additional costs of the breach on the party who has suffered. Otherwise the English Courts would likely consider the clause a penalty clause, which would be unenforceable under English Law. The main case law on this area dates back to 1915 (Dunlop Pneumatic Tyre Co Ltd vs New Garage & Motor Co Ltd), and outlines when a liquidated damages clause will be considered a penalty clause. 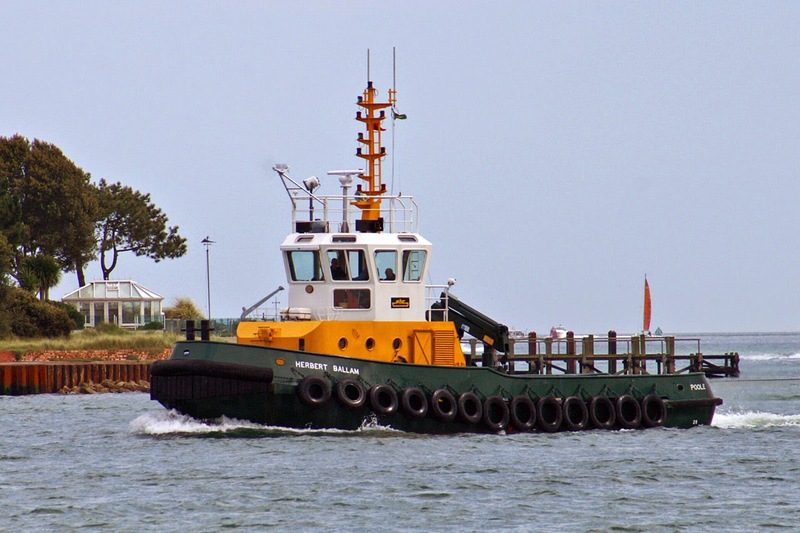 Tugboats are one of the most easily recognised of all vessel types, and have found a popular place in the public's eyes, even appearing in a number of Children's books and television programmes. However, there are a number of common varieties it is useful to recognise if you are working in the industry; each has some distinctive features, as set out briefly below. The workhorse of all local and national harbours, these versatile little tugs are able to help with all kinds of activities in port, as well as berthing, towing vessels out and potentially salvaging vessels in distress. Identify them by their small size and all-round basic fendering (often tyres) which shows the variety of jobs they may have to assist with. 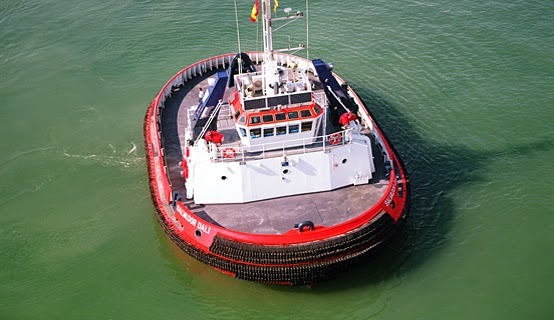 These large, advanced tugs are favourites of the offshore industry, these tugs can provide all the services required to oil rigs and platforms, including towing them into place, setting their anchors, and carrying goods and cargo as well as crew to and from the vessel. Identify them by their very large size, gear (cranes onboard for lifting), and open-backed stern (for taking anchors onboard). These vessels principally operate in sheltered inland waters, and tend to push (rather than tow) other vessels. 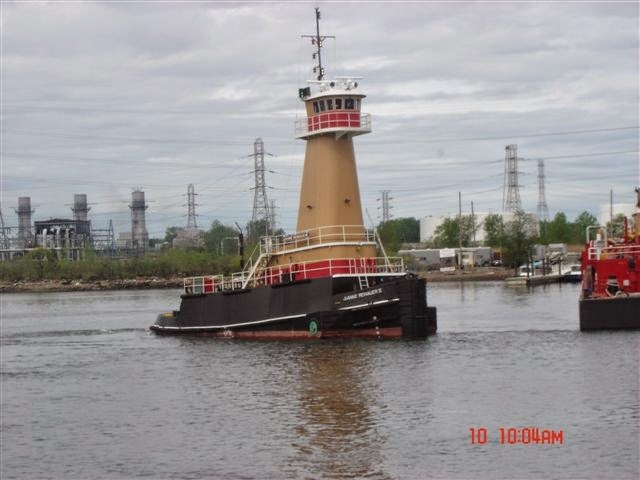 Because they typically push barges or regular vessels by their flat stern, they are usually unusual looking with a flat front. 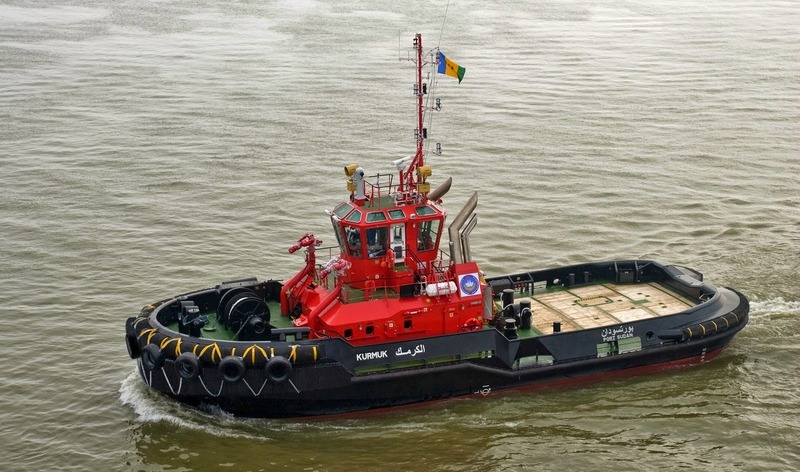 Articulated Tug and Barge (ATB) combinations are custom built sets of tugs and barges which go together. Normally the tug slots into the back of the barge for a more secure fit. Because they are often pushing large unmanned barges from behind, they need to have their bridge set very high, to see over the front of the barge; hence the unusual 'high neck' appearance. These vessels are more common in the USA. Azimuth Stern Drive (ASD) tugs do not have a rudder and propeller system like most vessels. Instead they are fitted with an advanced propeller which itself can turn direction, normally with one or two such propellers fitted at the stern of the vessel. This gives the tug much improved and more efficient manoeuvrability in the water, which allows them to better help other vessels. It also reduces running costs. However, these vessels remain expensive to build so look out for top-spec, modern-design, with more of an even all around freeboard tugboats. Ship Docking Module (SDM) tugs are, as the name implies, specifically designed to help other vessels dock in sheltered harbours or marinas. They have a very low and wide freeboard, so they can get up close to any section of the hull of larger ships without damaging them. They are also extremely nimble and have two Azimuth (360 degree) thrusters at either end, so they can spin 360, or speed up very quickly then move the opposite direction. They have a patented shape like a floating saucer, and because they are patented by one marine company (Seabulk), they are not as frequently spotted as other harbour craft. 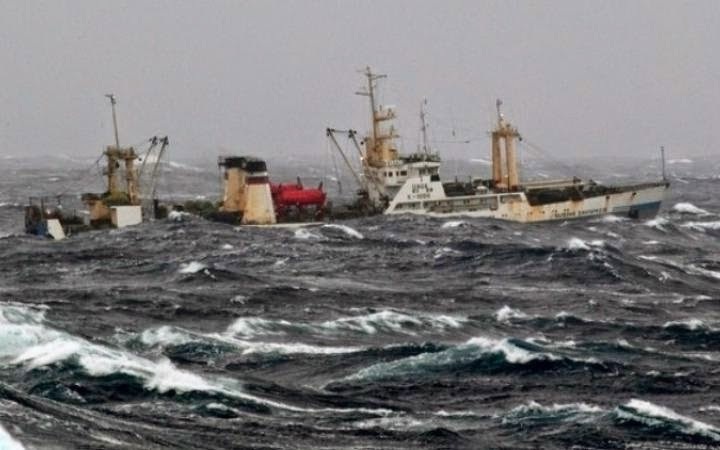 A large Russian fish factory, the "Dalniy Vostok", sank off the remote east coast of Russia on Wednesday 1 April 2015, resulting in a very high number of casualties. Numbers Onboard: 132 crew of Russian, Burmese, Ukranian, Lithuanian and Vanuatuan nationality. Voyage: Working off the Kamchatka peninsula. Incident: The vessel appears to have been trawling a very heavy (and possibly overweight) dragnet, when she may have struck ice or some mother object, resulting in the vessel being pulled quickly beneath the surface. 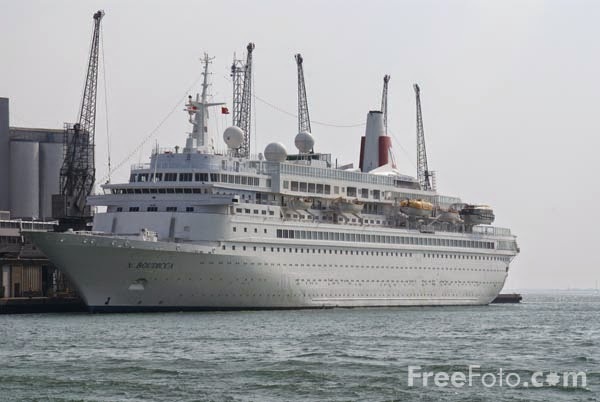 Early reports are outlining an incident onboard the cruise ship "Boudicca", which appears to have gone on fire whilst sailing off the coast of Spain as part of a Mediterranean cruise. Operator: Fred Olsen Cruise Lines Ltd. Numbers Onboard: up to 850 passengers potentially onboard. Incident: Further details are awaited on the extent of the incident. At present there are reports from passengers that a fire began in the Engine room at 4am, whilst the vessel was sailing off the coast of Morocco. The ship took on a list, and passengers were awoken and told to put on emergency life jackets. The vessel is now thought to be operating under auxiliary engines and sailing towards Lanzarote. In what seems to have been a disastrous few weeks for the Scandinavian P&I Clubs the huge 51,770 GT "Hoegh Osaka" car carrier, which we understand is entered with Gard, has run aground on a sand bank whilst leaving Southampton for Bremerhaven. When there are cars onboard it is common for the manufacturer's to refuse to honour the warranty, so they often have to be destroyed. As a result the insurance claim could be huge, even if she is refloated successfully. How such a modern, advanced ship, with such a high-value cargo onboard, can run aground on a fairly routine voyage to the UK, is not yet known. Thankfully all the 25 crewmembers have now been safely rescued. Voyage: Southampton, UK to Bremerhaven, Germany. Incident: The vessel was laden with a mixed cargo of vehicles and departed Southampton around 8pm on Saturday night (3 Jan. 2015). Whilst navigating Bramble Bank she appears to have veered towards portside and grounded on the sand, taking on a 45 degree list. All crew were safely disembarked eventually and salvage efforts are understood to be underway. 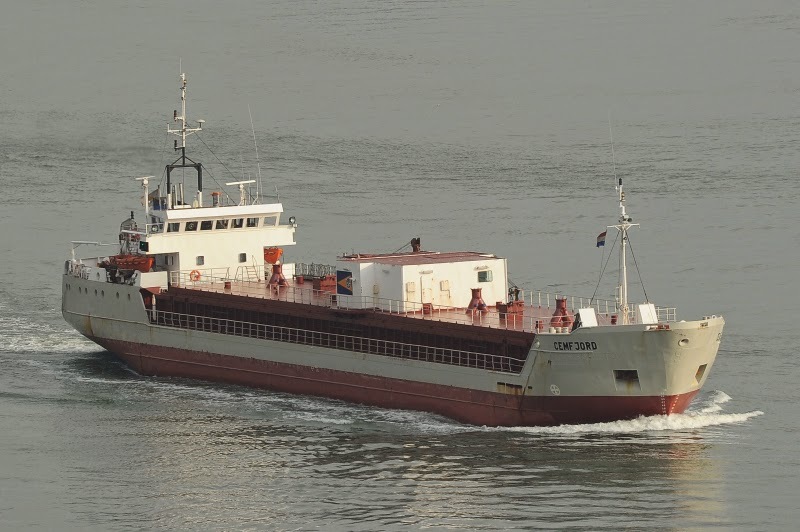 News is now being reported of a cargo ship found abandoned and upturned in the Pentland Firth (between Mainland Scotland and the Orkney Islands). 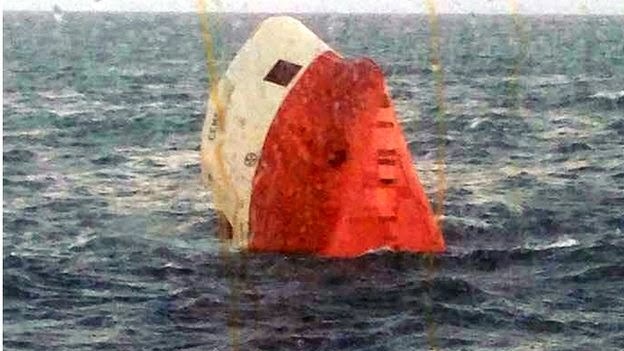 The vessel is the "Cemfjord" and she was spotted capsized by the passing Orkney ferry. She appears to have been carrying cement from Denmark to the UK, and voyages of cement from Scandinavia appear to have been the mainstay of her operations; hence the name. 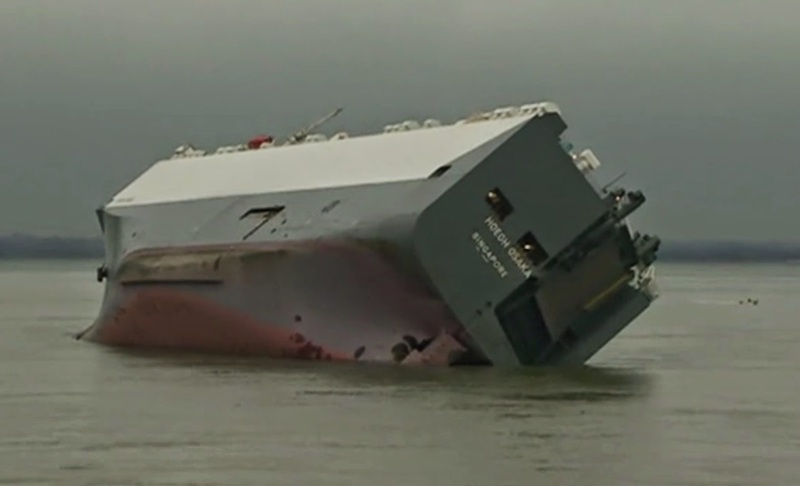 Given the recent press about liquefaction there will be questions about whether the cement cargo mixed with, or turned to, water which brought her down. Voyage: Aalborg, Denmark - Runcorn, UK. Incident: It is not yet clear what happened, other than some sudden and unexpected event which seemingly gave no notice for the crew to take to lifeboats, nor allow the Captain to issue a distress call. If the incident had been in say Indonesia, liquefaction may come to mind as a possible cause, but given the stringent controls in place in Denmark this seems less likely. As there does not appear to have been a distress call and as the sailing conditions at the time of loss have been described as 'pretty, pretty awful' by the local RNLI, a rogue wave seems the more likely explanation.